I admit it. I’m a Cappuccino Snob. The velvety drink first entered my world on an Italian visit 40 years ago. It compared favorably with café au lait and café con leche but the foam was unique and wonderful. Upon returning to the United States, I could only dream of that perfect breakfast drink. Until, that is, the coffee craze arrived from Europe in the 1980s. Starbucks rode the wave until all Americans were ordering cappuccinos and lattes with breakfast, lunch, and dinner. But something wasn’t right. Cappuccinos regularly arrived at the table with much more milk than the original formula of one-third espresso, one-third steamed milk, and one-third foam. Most barristas simply made a latte with thicker foam. 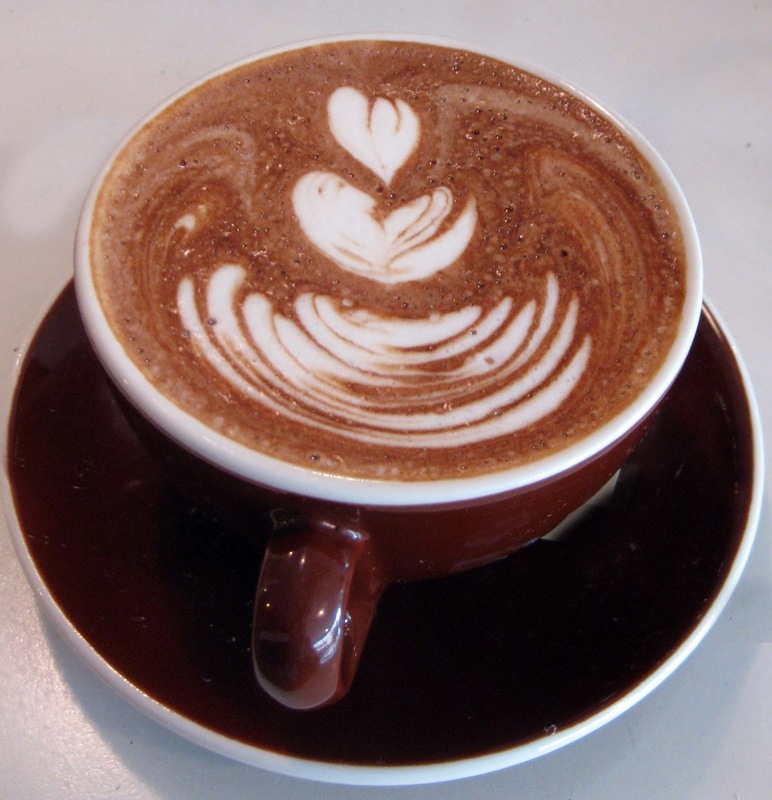 A “real” cappuccino should be light in weight, but many came heavy with dairy. Much to my husband’s chagrin, I tried for years to help craft a good cappuccino whenever I ordered. When trying to meet my requirements of the one-third, one-third, one-third recipe, several cashiers suggested a “dry” cappuccino. This does come with less milk but two-thirds of the cup was foam. Ordering an extra shot in a regular tall cappuccino provides a stronger coffee taste but the mojo is too much. It was time to get serious and a quest seemed in order. The perfect cappuccino was out there, just waiting to be discovered. There were three rules for the journey. One, Italy couldn’t compete. Two, consistency was required - the second drink had to be as good as the first. Three, the cappuccino had to arrive in mint condition without coaching. On a side street deep in Hong Kong I was pleasantly surprised to be served a cappuccino of almost perfect proportions. When a second was ordered, there was a difference. The waitress had to admit that they ran out of whole milk and served the 2% substitution. It failed the consistency test. On a cappuccino crusade to Dallas, I had a very good one at the now defunct Gachet Coffee Lounge and Books, owned by three sisters who really knew coffee. The sister on duty that day was Heidi Beaumont. Their menu offered only one cappuccino drink called “true cappuccino”. As Heidi explained, a cappuccino only comes in one size. There is no such thing as a large or grande or super cappuccino and she’s right. We companionably shook our heads together as she recounted the strange orders customers have made - a foamless cappuccino or a coffee mocha without milk. “After years of Starbucks, people don’t know what they’re drinking”, Heidi bemoaned. So, does the perfect cappuccino exist outside of Rome? Mine was discovered in the most unexpected of places - Oklahoma City. Coffee Slingers sits on a brick street several blocks from downtown. Owner, Melody Harwell, relocated from Hawaii and as a serious coffee drinker, she refuses to serve sweet, iced coffee drinks and doesn’t even apologize for it. Minimal food is served and it’s obvious you’ve found a fellow coffee aficionado upon entering and inhaling. I ordered a simple cappuccino and waited. When the mug was pushed my way, I looked upon a beautiful brown heart outlined with white foam. The first sip was pure heaven. The coffee was strong but not bitter with milk and foam mixed to a velvety texture, all in perfect proportions. I ordered a second. No difference. What is the secret then? “Micro bubble foam,” says Melody. Well, that AND the following: whole milk (preferably organic), freshly ground espresso tamped properly, steamed milk brought to 145 degrees only, and weeks of training to get the right mix of milk and foam which should separate naturally. The art takes even longer. Now that I’ve learned some of the secrets of a perfect cappuccino, my husband is worried that I will add one more question at the coffee counter - “Do you make micro bubble foam?” I won’t, but I will continue to search for and enjoy those who do know how to make a true cappuccino.